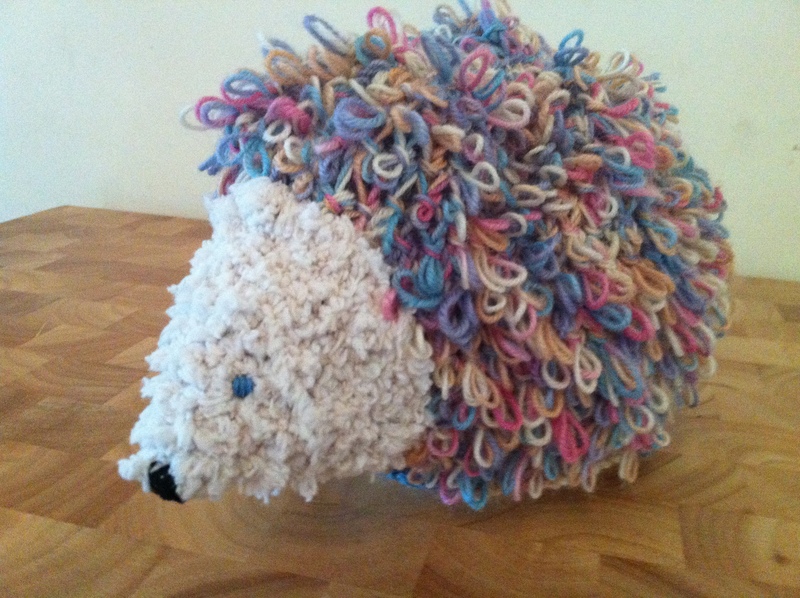 One of my lovely friends sent me a present to keep me busy whilst I wait for this broken ankle to heal – knowing of my love for making things, and also for hedgehogs she sent me a craft kit to make your own hedgehog tea cosy! Genius! It’s a cute kit, available from Amazon and says ages 8+ on the box though I’m not sure that is totally feasible! But if you’re interested you can take a look at it here. After looking a bit more closely I realised this wouldn’t be quite as easy as I thought – the head is made of a fluffy/straggly type of wool which is hard enough to cast on let alone knit with, and the cosy itself is done using loop stitch which I hadn’t come across before. But I persevered – determined to be able to make it if the box said an 8 year old could! 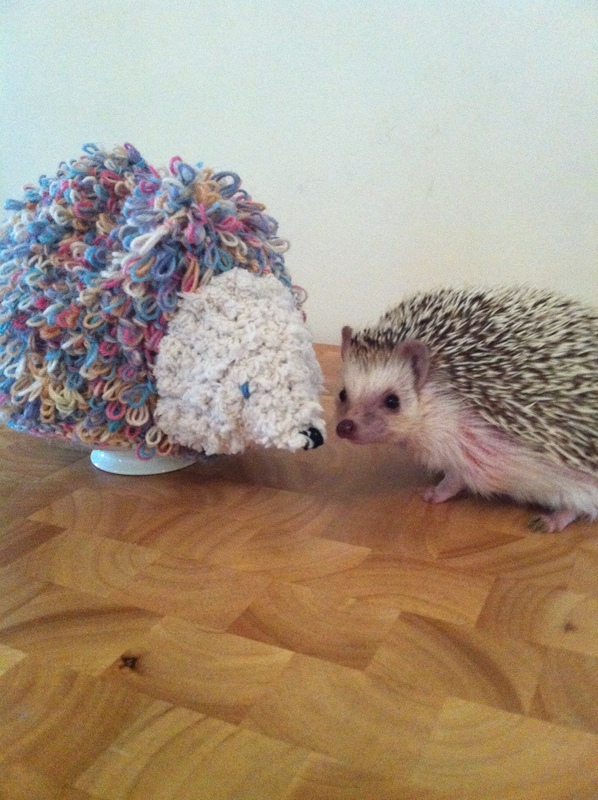 And just because it’s cute – here’s a pic of the tea cosy, alongside my real life pet hedgehog (she’s an African Pygmy Hedgehog) – Piglet. Not sure she knows what to make of it! So cute! Hedgehogs are one of my favourite animals!